From buying groceries to shopping for cars, you can find everything on the web. Every product you can think of has an e-commerce site associated with it. Advances in technology have made the great leaps that e-commerce has taken possible. However, the same technology that has helped to make e-commerce a viable business has also worked to make e-commerce fraud a very real threat. In order to combat fraud, businesses owners must be aware of the most common type of e-commerce fraud. 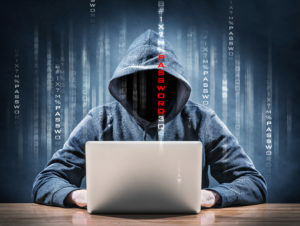 Credit/debit, identity theft, PPC fraud, and delivery address fraud are just a few of the most crippling types of fraud that businesses can be hit with. This, in turn, affects your customers and your bottom line. When customers shop on your site, they are looking for two things: user-friendliness and security. A successful e-commerce site cannot function by just incorporating one without the other. While all e-commerce sites work to make their businesses as secure as possible, the fact still remains that security threats and hackers exist. That is why it is important to take the necessary e-commerce fraud prevention steps to keep your business and customers safe. Address Verification Systems (AVS) and Card Code Verification are essential to any part of a payment gateway solution. While AVS is typically standard in North America, CVV is optional and should be incorporated. These work at reducing the usage of cards that are not present during the transaction, which most fraudsters would not have access to. A major red flag for e-commerce fraud is numerous declined transactions occurring. This is usually a sign of a bot or fraudster using software script to generate matching credit card numbers and information. And depending on your e-commerce provider, you will likely incur a small declined transaction fee for each time the fraudster guesses. The same way banks limit password tries, you can limit the number of declined transactions on your site for e-commerce fraud prevention. IP addresses that don’t match the billing address can be a major red flag, especially if they originate in completely different locations. To protect your business, you can prevent IP addresses without verified matching billing information from completing transactions on your website and send them for manual review. This allows you to use other measures to determine if the transaction should be processed. Kount empowers online merchants to accept more orders and minimize fraud costs and losses. Available through First Atlantic Commerce, Kount provides advanced artificial intelligence, smart, multi-layer device fingerprinting, IP proxy detection, transaction and custom scoring, and global order linking. In 2016, a study showed that e-commerce fraud increased to 33% and is gradually increasing. At the beginning of 2017, studies showed that hackers and fraudsters will work on leveraging larger data, organize on a larger scale, and their systems will become more sophisticated. With the aforementioned e-commerce fraud prevention tips, you can work to help keep your business and customers safe.